The aim of this book is to update knowledge and summarise recent research on pseudocereals, particularly regarding their botanical characteristics, composition, structure, use, production, technology and impact on human health. In the last few years, pseudocereals – in particular amaranth and quinoa – have acquired increased importance (which is also due to the increased demand for gluten]free food). Worldwide, the demand for amaranth and quinoa has risen immensely, as seen in rising prices for amaranth and quinoa. At the same time, research in all relevant fields has intensified. At present there is some confusion surrounding the term ‘pseudocereals’ and what it does and does not include, for example kiwicha which is Amaranthus caudatus or kaniwa which is Chenopodium pallidicaule. Sometimes other grains are included in the pseudocereal group like chia (Salvia hispanica L), an oleaginous seed. One of the aims of the book is to clear up some of the confusion over what is included in the group of pseudocereals. 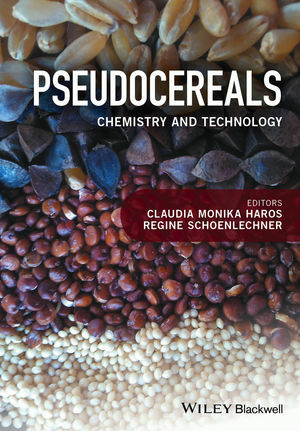 The book will include: the origin, production and utilization of pseudocereals; structure and composition of kernels; carbohydrates/fibre/bioactive compounds of kernels; proteins and amino acids of kernels; lipids of kernels; pseudocereal dry and wet milling: processes, products and applications; food uses of whole pseudocereals; pseudocereals in gluten free products; and the nutritional and health implications of pseudocereal intake.